Tucked away in the south-west corner of Andalusia, the Costa de la Luz offers superb sandy beaches, pine forests, rolling dunes and fishing villages. If you can drag yourself from your lounger, the sights of Seville are just 90 minutes away by road. Go west and you can hop into Portugal. Or just lie back and watch the terrific sunsets. 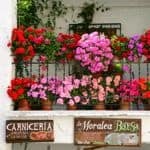 Whether your perfect holiday consists of days lolling by your private pool, or if you prefer to delve into the local culture, the Costa de la Luz in Spain’s southern region of Andalusia delivers in style. We offer a wide choice of villas for couples, families and parties of friends. 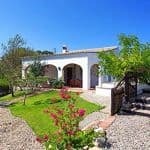 Casa de la Fuente, for example, is situated in spacious grounds amongst a lush orchard of fruit trees, with a gorgeous pool and a welcoming hamper of provisions on arrival. Nearby, Vejer de la Frontera is the most dazzling pueblo blanco, a perfect example of a Moorish hilltop village with its maze of narrow streets and alleyways opening on to plazas lined with palms and orange trees. Stroll around, soak up the atmosphere and feast on the views either out to sea or inland across gently rolling fields. West of Vejer lies the seaside village of El Palmar, blessed with an impressive broad beach stretching as far as the eye can see. The fascinating cities of Jerez, Cádiz and Seville are all within striking distance. As well as the region’s renowned seafood, you can also enjoy Moorish-influenced cuisine in this relatively undiscovered corner of Andalucia. Click here for prices and our full selection of villas in Andalusia.